We’d love your help. Let us know what’s wrong with this preview of Rückkehr nach Reims by Didier Eribon. To ask other readers questions about Rückkehr nach Reims, please sign up. With “Returning to Reims”, French sociologist Didier Eribon sparked a heated debate about the meaning of class in today’s society, both in France and in Germany (and probably in other countries in which the book was published as well). The book is a memoir that tells the story of Eribon’s coming-of-age as a homosexual youth in a poor working class family in Reims, and the obstacles he faced on his way to becoming a professor in Paris. 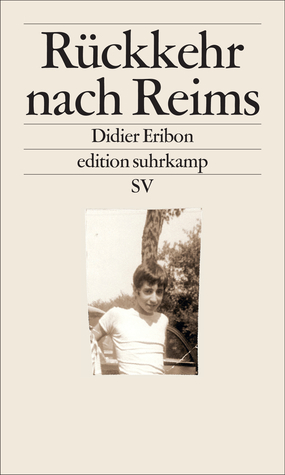 The text is heavily interspersed with sociological language, With “Returning to Reims”, French sociologist Didier Eribon sparked a heated debate about the meaning of class in today’s society, both in France and in Germany (and probably in other countries in which the book was published as well). The book is a memoir that tells the story of Eribon’s coming-of-age as a homosexual youth in a poor working class family in Reims, and the obstacles he faced on his way to becoming a professor in Paris. The text is heavily interspersed with sociological language, references to Bourdieu, Foucault, Sartre et. al., but it is not necessary to be an expert on these theoretical issues in order to follow Eribon’s arguments – and there are a lot of them. The text breathes Eribon’s enthusiasm for all matters of the mind, and reading it is less of a literary and more of an intellectual experience (of course these two are connected, but this is heavy on the scientific side). I commend Eribon for highlighting the meaning of social class and habitus – although these things are very real, they are usually not widely discussed because they are uncomfortable: To be part of the “underclass” is a stigma, and for the “upper class”, to acknowledge their privilege would highlight the fact that they might enjoy some advantages they did not have to work for. If we remain silent about these things though, they won’t go away either, and it is obvious who profits from that. By telling his own story and backing it up with theoretical knowledge, Eribon makes those disparities of privilege and their unjust consequences very clear. Which brings us to my last point: Eribon also discusses why the working class in France used to vote for the communists, and now tends to support the FN (the far-far-right-wing party). I have a strong feeling that one of the major reasons for doing this (and I am not excusing this voting pattern, because it is inexcusable) is that they are sick of working their butts off while entitled sociology professors look down upon them. Respect between societal groups is pivotal when it comes to maintaining a functioning democracy. There are strong feelings of resentment and prejudice on the side of the working class AND on the side of establishment – Eribon experienced both and I absolutely agree with him that none of this should be accepted. And Eribon himself is in a position in which he could be an agent for change and understanding, because he has experienced living in different classes himself, but he is underperforming in this role, which is particularly sad as he clearly is highly intelligent and a true fighter. This is a very intense autobiography of a French man who successfully extracted himself from a narrow working-class background to study and then join the intellectual elite of France. He grew up in a house with no books. He also became aware in his teenage years that he was gay. In his adolescence he faced two hurdles – to develop his intellectual knowledge and being gay. Both these were anathema to his family and to the surrounding working-class community. One day as I was wal This is a very intense autobiography of a French man who successfully extracted himself from a narrow working-class background to study and then join the intellectual elite of France. He grew up in a house with no books. He also became aware in his teenage years that he was gay. … What is it about the time spent in a bourgeois or petty bourgeois world that has led you to the point where you would be willing to deny your family or feel so ashamed of it? Why have you interiorized to such an extent all the hierarchies of the social world that, intellectually and politically, you claim to be opposed to?…Politically, I was on the side of the workers, but I detested being tied to their world. Doubtless I would have suffered fewer inner torments and less of a moral crisis in claiming allegiance to the “people”, if those people hadn’t been my family, which is to say my past, and therefore, whether I liked it or not, my present. It would seem that class distinction is far greater in France (and in Europe) than here in North America (I have perceived this somewhat on my European travels). I am not saying that North America is classless, but it is less obvious than in France. For example, the author discusses how schooling in France almost forces and directs the lower classes to leave school in their teenage years (at 15) to take up a trade – and discourages them from taking preparatory classes for elite subjects. Didier’s (the author) parents, like many of the working class, use to be communist, but then in the 1980’s switched their allegiance to the right-wing parties (National Front, now National Rally). The author has remained left-wing. He has felt alienated from his family and has not spoken to his elder brother in over thirty years, he did not go to his father’s funeral. His father was vehemently anti-gay. The only news he gets on his family is from his mother who he has kept in touch with, albeit sporadically. When Didier made himself a part of the intellectual elite by becoming a writer and journalist, he tried to hide his working-class roots. He had to change his way of speaking, he read voraciously, listened to music, like opera – all of which were far removed from the working-class world. There is a shame he had for his background. Als Donald Trump das Weiße Haus enterte und – als Präsident der Vereinigten Staaten von Amerika bestätigt – sich daran machte, sämtliche liebgewonnenen Gewohnheiten Washingtons auf rüdeste Art und Weise zu zertrümmern, war die Aufregung über die Frage, wie es „so jemand“ auf einen solchen Posten schaffen konnte, groß. Vielerlei Studien und Analysen wurden geschrieben, doch vor allem J.D. Vance HILLBILLY ELEGY wurde als Erklärungsansatz gefeiert, weil hier einer berichtete, der sich aus dem Preka Als Donald Trump das Weiße Haus enterte und – als Präsident der Vereinigten Staaten von Amerika bestätigt – sich daran machte, sämtliche liebgewonnenen Gewohnheiten Washingtons auf rüdeste Art und Weise zu zertrümmern, war die Aufregung über die Frage, wie es „so jemand“ auf einen solchen Posten schaffen konnte, groß. Vielerlei Studien und Analysen wurden geschrieben, doch vor allem J.D. Vance´ HILLBILLY ELEGY wurde als Erklärungsansatz gefeiert, weil hier einer berichtete, der sich aus dem Prekariat herausgearbeitet hatte und doch bereit war, zurück zu schauen und aus den Niederungen jener Bevölkerungsschichten zu berichten, die Trump angeblich vornehmlich gewählt hätten. Leider blieb das Buch – gerade für europäische Maßstäbe – weit hinter seinen Möglichkeiten zurück, fehlen Vance doch offensichtlich die wissenschaftlichen Analysemittel der Soziologie, aber auch die der Historiker oder Psychologen, um seine Geschichte genügend zu distanzieren und zu differenzieren. So entstand eine teils durchaus erhellende, meist jedoch sentimentale und oft auch larmoyante Beschreibung der Verhältnisse, in denen jene leben, die gemeinhin als „white trash“ bezeichnet werden, die Hillbillys und die Rednecks. In Europa sind es - durchaus nicht mit Trump und seiner Bewegung vergleichbar – die populistischen Rechtsparteien, die uns schaudern lassen und die Frage aufwerfen, wer „die“ wählt? Wer sind die, die sich einfangen lassen von meist eher dumpfen Parolen und dem Hass und der Hetze gegen Minderheiten, Fremde, Schwächere? Nun ist die Frage in Deutschland, Frankreich oder Großbritannien sicherlich jeweils eigen zu untersuchen und zu beantworten, dennoch gibt es gewisse Schnittmengen. In allen westlichen Ländern ist zu beobachten, daß die traditionelle Linke ihre Milieus verliert und ein Großteil der Wähler, die einst sogar (in Frankreich mit größerer Selbstverständlichkeit, als bspw. in Deutschland) die Kommunisten wählten, zur extremen Rechten übergelaufen ist. In Deutschland ist es die sogenannte Alternative für Deutschland, kurz: AfD, in Großbritannien, vor allem in England, die UKIP, jene Partei, deren einziges echtes Merkmal der Kampf für den Brexit gewesen ist, in Frankreich der Front National (FN), der sich seit den frühen 1970ern als extrem rechts, teils faschistoid, darstellt und erst in den vergangenen 10, 15 Jahren unter der Führung von Marine Le Pen, der Tochter des Parteigründers Jean-Marie Le Pen, einen wenn auch nur leicht gemäßigten Ton anschlug. Dieselben Fragen: Wieso dreht sich gerade im Norden Frankreichs, wo die kommunistische Partei traditionell ihr Stammland hatte, der Wind derart? Wieso fährt der Front National gerade hier seine größten Gewinne ein, sieht man einmal von seinen starken Stimmanteilen in der Provence ab? Erneut gibt es viele Antworten, Studien und Analysen. Und mit Didier Eribons RETOUR À REIMS liegt auch eine die Innenansicht dieses Milieus beschreibende Lektüre vor, die sich von Vance´ Werk dadurch angenehm absetzt, daß der Autor in diesem Fall eben über genau das soziologische, literarische und historische Vorwissen, die Mittel und Werkzeuge verfügt, die es ihm erlauben, das eigene Leben, den eigenen Werdegang exemplarisch zu analysieren. Eribon entstammt dem Arbeitermilieu seiner Heimatregion um Reims, im Norden Frankreichs. Hier wird traditionell links gewählt und gedacht: Man sieht sich in einer Solidargemeinschaft der „kleinen Leute“, man hängt vulgärkommunistischen Ideen an (kaum wer hier wird Marx, Lenin oder einen anderen der kommunistischen Vordenker je selber gelesen haben), viele sind ungelernte Arbeiter in Fabriken, manche kaum des Schreibens und Lesens mächtig. Zugleich herrscht ein ruppiger und rauer Ton: „Schwuchtel“, „Tunte“ – sexuell abwertende Schimpfereien sind an der Tagesordnung. Eribon, mittlerweile weit entfernt von seinem Ausgangspunkt in Reims als offen homosexueller Intellektueller und Autor in Paris lebend, kehrt anlässlich des Todes seines Vaters, den er praktisch Jahrzehnte nicht gesehen hatte, in seine Heimatstadt zurück und beginnt, über sich und seinen Werdegang zu reflektieren. Wie konnte es gelingen, sich aus den Fängen einer Schicht, in der das Leben, der Lauf des Lebens, so häufig vorgezeichnet scheint, zu befreien und wider alle Umstände, vor allem aber wider alle Voraussagen empirischer, sozialer wie psychologischer Art, ein Leben zu gestalten, daß ihn in die „gebildeten“ Kreise der Hauptstadt und die manchmal geheimen, manchmal offenen Zirkel selbstbewusst zur Schau gestellter (Homo)Sexualität führte? Weil Eribon die wissenschaftlichen Instrumente zur Analyse gerade der Soziologie zur Verfügung stehen, kann er sich und seinen Standort sehr genau verorten. Er weiß um die Barrieren und Fallstricke, gegen die Kinder der Arbeiterschicht schon durch ihre sprachliche und häusliche, oft bildungsferne Prägung oft anrennen müssen und in denen sie sich meist gnadenlos verheddern. Er schildert das Schicksal seiner Familie, seines etwa gleichaltrigen Bruders und das seiner jüngeren, viel später geborenen Brüder, die alle als entweder ungelernte oder aber Facharbeiter in den lokalen Fabriken untergekommen sind und so das Leben der Eltern repetieren. Er spürt der Frage nach, wieso es ihm gelungen ist, diese Barrieren zu überwinden und den Fallen zu entgehen, die sich für ihn auftaten. Lehrer, denen seine Sprachbegabung auffiel, seine Versuche, sich wie die Kameraden als harter Kerl zu inszenieren, wie er genau die gleichen Schimpfwörter und Herabwürdigungen im Munde führt und doch merkt, daß es nicht stimmig ist, was er da von sich gibt, spürt er doch vergleichsweise früh, daß er sexuell selber Männern zuneigt. Er beschreibt, wie er auf ein Gymnasium geschickt wird – wenn schon kein Novum (in seiner Familie allemal), so doch ein recht ungewöhnliches Verfahren für ein Arbeiterkind in den 1960er Jahren – und dort zunächst einmal den Kulturschock einer vollkommen anderen Sprache, ja eines anderen Sprachgebrauchs überwinden muß. Wie eine frühadoleszente Verliebtheit in den Sprössling einer bourgeoisen Familie ihm den selbstverständlichen Umgang mit Literatur und Texten allgemein lehrt und wie er schließlich – an der Universität in Reims gelandet – beginnt, Sartre, Gramsci, Marx und später schließlich die Strukturalisten um Foucault, Barthes, Levi-Strauss, aber auch Theoretiker wie Lacan und Deleuze zu lesen. Eribon vermittelt sehr gut, wie diese Lektüren, vermischt mit Romanen von Genet oder Beauvoir, ihm ganze Denkräume, ja Räume des Da-Seins, neu erschlossen haben. Und zugleich dazu beitrugen, den eigenen Herkunftsort nicht nur zu verlassen, sondern auch zu verachten und zu verheimlichen. Es ist ihm besonders hoch anzurechnen, daß er nicht so tut, als sei er am Ende einer glücklichen Erzählung (ein Dreh, der Vance´ amerikanischen Text unangenehm und ärgerlich macht) angelangt. Mit manchmal schwer erträglicher Ehrlichkeit berichtet Eribon davon, seine Familie Dekaden nicht gesehen zu haben – ein Befund, der psychologisch ganz sicher auf keine gesunde oder letztlich zumindest gelungene Auseinandersetzung mit der eigenen Herkunft verweist – und daß seine RÜCKKEHR NACH REIMS die Widersprüche und schmerzhaften Risse und Klüfte nicht wird schließen können. Wohl versteht er mit dem Abstand der Jahre die eigenen Eltern besser, es gelingt ihm vor allem bravourös, den Weg der „kleinen Leute“, der Arbeiter aus einem gefestigten sozialen (linken) Milieu in eine offene, unsichere Struktur nachzuvollziehen, die im Zuge der neoliberalen Revolution der 80er und 90er Jahre entstanden ist und die tradierten Zusammenhalte zerstört hat. So kann man gerade am exemplarischen Werdegang dieser „ganz normalen“ Familie nachvollziehen, wie es einer rechtspopulistischen Bewegung gelungen ist, ihre stärksten Wählerbindungen ausgerechnet dort zu etablieren, wo es immer starke linke, ja kommunistische Bande gegeben hatte. Eribon gibt dabei scheinbar nebensächliche Hinweise, die doch Auskunft über tiefgreifende Veränderungen sind, wie bspw. die Tatsache, daß man früher ganz selbstverständlich dazu stand, die Kommunistische Partei gewählt zu haben, heutzutage aber kaum wer offen zugibt, den Front zu wählen. Es sind diese Nebensächlichkeiten, die das Buch lebendig und zu mehr als einem trocken-soziologischen Pamphlet machen. Eribon lässt den Leser an seiner doppelten, entgegenwirkenden Wandlung teilnehmen und stellt sich dennoch als Einzelfall, nicht als Exempel dar. So sehr er sich von seiner sozialen Herkunft entfernen, sich als „Intellektueller“ neu erfinden musste, so sehr musste er zugleich auf seine sexuelle Identität zugehen. Das eine bedingt das andere, die Entfernung aus seinem angestammten Milieu korrespondiert mit seiner Ankunft im homosexuellen Milieu, das sich zu Beginn der 1970er Jahre natürlich noch viel versteckter präsentierte als heute, wo es ein selbstbewusstes und sich auch offen gebendes kulturelles Milieu ist. In dieser Doppelbewegung wird aber auch das Dilemma deutlich, welches für viele angestammte Milieus, Schichten und – in Deutschland weniger – Klassen gilt: So sehr die Schranken fallen, umso leichter es wird, aus den Begrenzungen der eigenen Herkunft auszubrechen, so zerfließen zugleich die Grenzen und damit auch die tradierten Zuordnungen. Es bleibt eine Aufgabe der gesamten Gesellschaft, dafür zu sorgen, daß daraus keine Orientierungslosigkeit entsteht, die schließlich hinter den Flaggen derer wieder zu einer Einheit wächst, die ganz sicher nicht die Freunde des „kleinen Mannes“ sind, nie waren und niemals sein werden. All die rechtspopulistischen Bewegungen werden die „kleinen Leute“ nur exakt so lange brauchen, um sich an die Macht zu bringen, spätestens dann werden sie schnell vergessen, wem sie ihre Siege zu verdanken haben und ebenso schnell werden eben diese „kleine Leute“ wieder zu Opfern der Großmannssucht der Ewiggestrigen. Capital fut donc pour moi la phrase de Sartre dans son livre sur Genet : "L'important n'est pas ce qu'on fait de nous, mais ce que nous faisons nous même de ce qu'on a fait de nous". Elle constitua vite le principe de mon existence. Le principe d'une ascèse : d'un travail de soi sur soi. Je pourrai dire : d'un côté en devenant ce que j'étais et, de l'autre, en rejetant ce que j'aurais du être. Pour moi, les deux mouvements allèrent de pair. Au fond, j'étais marqué par deux verdicts sociaux : un ve Capital fut donc pour moi la phrase de Sartre dans son livre sur Genet : "L'important n'est pas ce qu'on fait de nous, mais ce que nous faisons nous même de ce qu'on a fait de nous". Elle constitua vite le principe de mon existence. Le principe d'une ascèse : d'un travail de soi sur soi. Au fond, j'étais marqué par deux verdicts sociaux : un vecteur de classe et un verdict sexuel. On n'échappe jamais aux sentences ainsi rendues. Et je porte en moi la marque de l'un et de l'autre. Mais parce qu'ils entrèrent en conflit l'un avec l'autre à un moment de ma vie, je dus me façonner moi-même en jouant de l'un contre l'autre. Merci pour tout M. Eribon. Wanneer zijn vader na een slepende ziekte overlijdt, keert de Franse socioloog en filosoof Didier Eribon (1953) na ruim dertig jaar terug naar Muizon, een semi-stedelijke gemeente op twaalf kilometer van zijn geboortestad Reims. Hij ontvluchtte als prille homoseksueel deze provinciestad in het noordoosten van Frankrijk om te gaan studeren in Parijs. Vanaf dan verbrak hij alle banden met zijn familie en ontpopte zich in de hoofdstad tot linkse intellectueel. In Terug naar Reims, een boeiende sociologische en politieke studie vermomd als biografisch zelfonderzoek, beslist Eribon niet opnieuw te vluchten, maar in het verleden te duiken, op zoek naar manifeste antwoorden. Zo wil hij begrijpen hoe het komt dat zijn familie niet langer links stemt, maar al jaren openlijk kiest voor het Front National. Hij stelt zichzelf als ‘klassenmigrant’ in vraag, ontleedt zijn sociale identiteit en die van het arbeidersmilieu waarin hij opgroeide. De dag na de begrafenis bekijken ze samen foto’s. Eribon krijgt zijn verleden willens nillens in de maag gesplitst. Terwijl hij naar de foto’s kijkt, realiseert Eribon zich dat hij in zijn hoedanigheid van socioloog en filosoof veel heeft geschreven over overheersingsmechanismen (in het bijzonder de dominantie over en stigmatisering van homoseksuelen), maar nog nooit over sociale overheersing of schaamte. Zo behandelt hij in zijn boek Réflexions sur la question gay (1999) het verschijnsel dat jonge homo’s naar de grote stad vluchten om daar openlijk als homoseksueel te kunnen leven. Omdat Eribon zich beroept op zijn persoonlijke ervaring kan dit deel van zijn boek gelezen worden als een autobiografie in de vorm van een historische en theoretische analyse. Maar, zo concludeert hij, het is eigenlijk een incomplete biografie, want zijn beslissing om naar de stad te verhuizen hield voor hem ook een verandering van sociaal milieu in. Anders gezegd, wat zijn geaardheid betreft kwam Eribon uit de kast, maar tegelijkertijd stapte hij ‘een sociale kast’ in. De complete breuk met zijn familie kan dus niet enkel worden verklaard vanuit zijn homoseksualiteit en de diepgewortelde homofobie van zijn vader. Het ging evenzeer om een breuk met zijn sociale klasse en daar wil hij in Terug naar Reims nu net vat op krijgen. Het sociaal parcours dat Eribon doorliep, zo beseft hij wanneer hij gaandeweg zijn familiegeschiedenis reconstrueert, was dat van de ‘klassemigrant’: een ‘overloper’, die ‘min of meer definitief en min of meer bewust, afstand wilde nemen van zijn oorspronkelijke klasse om te ontsnappen aan het sociale milieu van zijn kindertijd en tienerjaren.’ Het schuiven binnen het klassensysteem, zijn sociale mobiliteit, veroorzaakte bij hem een soort schaamte over zijn oorspronkelijk milieu en hield een bewust wegcijferen in van alles wat met zijn familie te maken had (Eribon citeert schrijfster Annie Ernaux die in dat opzicht over ‘klassenafstand’ sprak en James Baldwin die als zwarte homoseksueel eveneens had af te rekenen met een ‘dubbele problematiek’). Met een schrijnend fait divers illustreert Eribon deze oncontroleerbare gêne: wanneer hij als student in Parijs aangeklampt wordt door zijn opa — een pimpelende glazenwasser die rondreed met een ladder en emmers op een sjofele motorfiets — is hij bang om gezien te worden met een dergelijk volks figuur. Eribon plaatste zich steeds verder buiten wat in de ogen van zijn ouders ‘de normale wereld’ was, hij creëerde doelbewust afstand. In zijn jeugd was Eribons gehele familie strikt communistisch. De Franse Communistische Partij was voor zijn ouders en grootouders ‘de onomstreden horizon, het richtinggevende uitgangspunt van hoe je je tot de politiek verhield.’ Vanaf de jaren tachtig stemde het ganse gezin, rechts of extreemrechts. Eribon vraagt zich af hoe dit tot stand is kunnen komen. Aan de hand van enkele anekdotes uit de familiegeschiedenis (zijn ouders uitmaken voor ‘bourgeois’ bijvoorbeeld) illustreert Eribon de kloof die geleidelijk ontstond tussen de verwachtingen van de linkse stemmers uit de volksklasse en die van de militante linkse intellectuelen, zoals hijzelf vaak nog groen achter de oren, maar ideologisch doorwrocht en zelfs gediplomeerd. […] het wegnemen van de ‘klassen’ en de klassenverhoudingen uit het politieke debat, ze uitsluiten van theoretische en cognitieve categorieën, weerhoudt de mensen die daadwerkelijk in de omstandigheden leven die schuilgaan achter die termen er geenszins van zich collectief in de steek gelaten te voelen door degenen die het positieve effect prediken van zowel ‘de sociale samenhang’ als van een ‘noodzakelijke’ deregulering van de economie en een even ‘noodzakelijke’ ontmanteling van de verzorgingsstaat. De stem van de volksklasse op het Front National, zo stelt Eribon, is een laatste poging om hun collectieve identiteit te verdedigen en hun waardigheid te behouden: ‘Mensen voelen zich waardig wanneer ze niet worden beschouwd als quantité négligeable.’ De stem voor de communisten was een positieve zelfbevestiging, die voor extreemrechts een louter negatieve. Terug naar Reims verenigt meerdere genres in één helder, vloeiend en vlot leesbaar geheel. Het is een autobiografie, een politico-filosofisch essay, een sociologisch onderzoek en een zelfanalyse ineen. In zijn epiloog erkent Ebiron dat ‘het filter van literaire, theoretische en politieke referenties’ essentieel was om precies te formuleren wat hij wilde zeggen en ‘de emotionele belasting’ te neutraliseren. Dankzij een breed referentiekader kan Eribon zijn zelfanalyse vergaand en diep doordrijven. Dit in tegenstelling tot Pierre Bourdieu die zich in het kort voor zijn dood afgewerkte zelfonderzoek Esquisse d'une auto-analyse (2002) — een inspiratiebron voor Terug naar Reims — beperkte tot eigenschappen en beschrijvingen ‘die inherent zijn aan het sociologisch gezichtspunt’. Volgens Eribon verzwijgt Bourdieu hierdoor meer dan hij bekent. […] ik aanvaardde ondanks alle beledigingen mijn seksuele identiteit en kwam daarvoor uit, en rukte me los van de sociale klasse waar ik vandaan kwam. Ik zou kunnen zeggen: aan de ene kant door te worden wat ik was en aan de andere kant door te verwerpen wat ik had moeten zijn. Voor mij gingen die twee bewegingen hand in hand. Eribon had met andere woorden af te rekenen met een dubbel vonnis: een klassenvonnis en een seksueel vonnis. Toen deze twee met elkaar in conflict kwamen, kon hij niet anders dan ze tegen elkaar uitspelen om zichzelf te kunnen vormen. Deze vertaalslag is van essentieel belang in Terug naar Reims. De biografie is niet langer onvolledig, de zelfanalyse is grondig. In 2011 publiceerde Eribon het korte boekje Retours sur retour à Reims, een gebundeld antwoord op de vele vragen die de auteur kreeg in de nasleep van de publicatie van zijn bekendste boek, in de vorm van twee uitgebreide interviews. Hij gaat niet alleen dieper in op enkele heikele kwesties uit Terug naar Reims, zoals het stemgedrag van de arbeidersklasse en het filosofisch begrip ‘schaamte’, maar ook op zijn intellectuele ‘bronnen’ (in het bijzonder zijn leermeesters Pierre Bourdieu en de filosoof over wie Eribon een biografie schreef, Michel Foucault). Misschien een idee voor Leesmagazijn om deze titel — hoe dan ook een interessant complement — aan de fondslijst toe te voegen? Terug naar Reims, oorspronkelijk gepubliceerd in 2009, is een legitiem en brandend actueel boek. Het strooit zout op de open wonde die de neoliberale maatschappij is geworden en zet genadeloos de neoconservatieve revolutie in zijn hemd. Eribon drukt ons middels zijn openhartige zelfanalyse met de neus op de feiten: de sociaaldemocratische beweging danst naar de pijpen van elitaire politici (geuzennaam: ‘kaviaarsocialisten’) en perverse economen doen ons geloven in ‘de gecreëerde behoeften’ van een individualistisch hedonisme. De steriele dogma’s van het verleden blijven ons achtervolgen: links en rechts blijven polariseren, maar groeien tegelijk dichter naar elkaar toe. De normvervaging, met als meest verwerpelijke exponent de walmende woordenbrij die de unisone partijprogramma’s geworden zijn, houdt de meritocratie schaamteloos in stand (vogel voor de kat? Eigen schuld!). We draaien rondjes in het kapitalistische eindspel waar populistische slogans zoals ‘gewoon dóen’ (of was het ‘gewóon doen’?) het ethisch waardenbesef en het politiek bewustzijn tot een denigrerende en nietszeggende leuze hebben herleid. Terug naar Reims opent de ogen, zet aan tot zelfreflectie, herbronning en bezinning. Daarom alleen al zou iedere machthebber dit uitdagend, prikkelend en vranke boek moeten lezen. I found this utterly fascinating and of significant explanatory value for the rightwards drift of culture and politics, for (his words) the failure of the left. Not just in France, not just in Europe. The first half is an account of his growing up working class; of his family back to WWII. As he says, nobody writes about the working class unless they have already left it. Didier Eribon has become a sociologist. Once he escaped in disgust, by a set of circumstances so rare that he calls them mira I found this utterly fascinating and of significant explanatory value for the rightwards drift of culture and politics, for (his words) the failure of the left. Not just in France, not just in Europe. The first half is an account of his growing up working class; of his family back to WWII. As he says, nobody writes about the working class unless they have already left it. Didier Eribon has become a sociologist. Once he escaped in disgust, by a set of circumstances so rare that he calls them miraculous. He explains how difficult it is to escape, in ways a sociologist notices. He complains of other, influential writers on the working class who have no firsthand knowledge. There has been a great lag, as he avoided his whole family, rejected his background, before his ‘return’ to Reims. There are things to understand. In his childhood, his family and neighbours voted communist as a matter of course and thought in class terms. Now the ‘discourse’ (as the adult sociologist must put it) has shifted. His brothers vote ‘as if it is natural’ for the National Front, and his mother admits to a cheeky vote for them too. In Eribon’s memory, anyone right wing was fulminated against when seen on the family TV. Worse (in his eyes), the casual, obsessive racism that was a feature of talk, one of the ugly features that drove him to escape, has been given permission, given an ideological structure, given a party. Meanwhile the left ceased talk of class, and was perceived to have abandoned workers. With the result that the old ‘us’ and ‘them’ has shifted, away from class – a dropped language – to ‘being French’ and race. It is certainly not that racism was absent in his childhood. But it has been politicised, in place of class. He has an odd writing style: half a memoir of his family and half a sociologist’s notetaking. Still, the memoir was hugely potent and the sociology I understood in spite of unfamiliar words, because – he made so much sense to me. He likes to excerpt from others who shed light on his situation: James Baldwin, for example, on hatred of violent fathers. In the second half, he turns to discuss growing up gay, in this working class environment, and then being gay in the academy (along with Foucault, whom he is passionate upon. I had no idea Foucault was writing about his own struggles in this life-and-death way. At last I’m convinced to read him). Now, this is what we’d call identity politics, although that doesn’t seem a term he has to hand. He has made an argument for class with his pungent description of the actual working class in his history. Running similarly in his life, or in a contrary direction, is his gay identity, alongside his class identity. He examines them, together and apart, and how they have operated. With massive effects on him, both, neither can be downplayed or put aside in favour of the other. ‘Intersectionality’ isn’t in his language either, but when he describes the surround-sound of insult that he had to negotiate growing up gay, and then turns to the full-blast insult on race that is normal language where North Africans have moved into the working class housing of his origins… the symmetries and asymmetries are there to see. He tells us he’s a frustrated novelist, too. This blend of honest memoir and a sociologist’s interpretation (unintentionally humorous at times – the contrast of language, the crudity of his past speech and that academese he can’t help talking in now) was a knockout book for me. Le thème de cet essai m'interpellait beaucoup, je me suis donc plongé dans sa lecture même si je ne suis pas habitué à ce genre d'oeuvre « académique ». Je craignais surtout de ne pas avoir les bases philosophiques ou sociologiques pour comprendre parfaitement l'approche de l'auteur. Finalement, le mélange entre le récit autobiographique et les réflexions sociologiques rend sa lecture tout à fait accessible pour un novice comme moi. Ce n'est pas non plus un livre de vulgarisation sur la sociologie, puisque l'auteur utilise à plusieurs reprises des concepts qui m'étaient inconnus mais sans que cela gêne – à mon sens – ma compréhension globale de sa réflexion. Face au déterminisme social qui veut que les enfants d'ouvriers deviennent ouvriers (ou chômeurs ...) et les enfants de cadres deviennent cadres, l'éducation et l'accès à la culture sont les seules solutions efficaces mais aussi des marqueurs forts de rupture avec le monde ouvrier ; Didier Eribon raconte bien comment il s'est éloigné de sa famille au fur et à mesure de ses études, comment il s'est senti différent de ses parents et de ses frères, se sentant rejeté comme il les rejetait. Il montre également comment le système éducatif, avec ses filières élitistes et ses voies de garage, tend à reproduire à chaque génération les mêmes ruptures de classes sociales. Didier Eribon compare sa façon de vivre son homosexualité et ses origines sociales. Il a longtemps expliqué sa rupture avec sa famille par leur rejet – ou leur incompréhension – face à son homosexualité. Finalement, il note que c'est peut-être son rejet de son milieu d'origine qui l'a tenu éloigné de Reims et de sa famille. Il conclue sa réflexion en affirmant qu'il a finalement eu plus de difficultés à s'affirmer comme fils d'ouvrier que comme homosexuel, il va jusqu'à parler de honte pour évoquer ses origines. De ces deux différences, la plus difficile à assumer n'était pas celle que l'on croit, en particulier à Paris. Didier Eribon erzählt die Geschichte seiner zweifachen Emanzipation: Einerseits der Aufstieg aus dem französischen Arbeitermilieu in die intellektuellen Zirkel, andererseits die Entwicklung seiner homosexuellen Identität. Gut gelungen sind die Passagen, in denen er die Situation seiner Familie schildert (die ärmlichen Lebensverhältnisse, das belastete Verhältnis zum Vater oder die zunehmende Entfremdung von seiner Familie, aufgrund seiner Bildungskarriere). Am eigenen Beispiel zeigt er strukturel Didier Eribon erzählt die Geschichte seiner zweifachen Emanzipation: Einerseits der Aufstieg aus dem französischen Arbeitermilieu in die intellektuellen Zirkel, andererseits die Entwicklung seiner homosexuellen Identität. Gut gelungen sind die Passagen, in denen er die Situation seiner Familie schildert (die ärmlichen Lebensverhältnisse, das belastete Verhältnis zum Vater oder die zunehmende Entfremdung von seiner Familie, aufgrund seiner Bildungskarriere). Am eigenen Beispiel zeigt er strukturelle Benachteiligungen und sozialen Schranken auf, durch die Ungleichheiten in der franz. Gesellschaft über Generationen hinweg zementiert werden. Interessant ist auch Eribons Blick auf den Wandel im Verhältnis der politischen Linken zu ihrer Stammwählerschaft (und das Erstarken des Front National). Kommt in meinem Bücherregal neben all die anderen Bücher, die eine Art "Bibel" für mich geworden sind. The book is part sociological treatise on class and sexuality in post-war France, part political manifesto on what the Left must do in order to re-claim the language of class in an age of populism for a new kind of emancipatory politics, and part intellectual history of modern French philosophy - all, somehow, miraculously disguised as a memoir. The book begins with Eribon returning to Reims, the place where he had abandoned (if that's the right word), One of the best books I've read this year. The book begins with Eribon returning to Reims, the place where he had abandoned (if that's the right word), at the age of 20, his working class parents, siblings and the degrading manual labor job that was sure to be his destiny, to pursue an intellectual life in Paris as an openly gay man. Prompting his return is the illness and then death of his father, whom Eribon admits to always having disliked due to his homophobia. He returns to console and comfort his mother, and during a series of searching questions raised in the course of their discussion he begins to reach very startling epiphanies. This return to "the social space" he had always tried to forget was a revelation for Eribon, for he realizes how deeply marked and influential his class background was to the formation of his own subjectivity. He begins to reevaluate, utilizing French theories of class relations (habitus), his once held negative assumptions about his father and the French working class more generally, coming to see that their prejudices, beliefs, and feelings are products of the class oppression that was part of their history, which inevitably left their indelible mark. He extrapolates from this analysis in order to explain how it was that the French Communist Party - which once represented for his parents and many French workers "the uncontested horizon of their relation to politics" (beautiful phrase) - capitulated in the 70s and 80s, failing to provide a language of class that explained their plight and predicament. This in turn lead to his parents and most of the French working class to vote for Jean-Marie Le Pen's National Front who filled that void, interchanging "bourgeois" with "foreigner". He ends his book with a plea to the mainstream left to re-articulate a new kind of political language, one that encompasses all forms oppression and to place class as the organizing locus point. I really can't say enough about this book: it's relevance in the era of Trump, where so much is made of the "white working class", and with rise of the populist right-wing figures in Europe who have appropriated many of the talking points once associated with the traditional left. I'll admit I don't read non-fiction titles very often, but this is one of the better ones I've read in recent years. With his sociological/philosophical approach, Eribon provides insight into what it is like to come from the "working class" and try to break out of the vicious cycle; very interesting thoughts about what happened to Marxism and the left, accompanied by the rise of the ultra-right; and a great deal of genuinely honest self analysis about what it means to be a homosexual in a societ I'll admit I don't read non-fiction titles very often, but this is one of the better ones I've read in recent years. With his sociological/philosophical approach, Eribon provides insight into what it is like to come from the "working class" and try to break out of the vicious cycle; very interesting thoughts about what happened to Marxism and the left, accompanied by the rise of the ultra-right; and a great deal of genuinely honest self analysis about what it means to be a homosexual in a society that is still today highly discriminatory of any behaviour it sees as different from the accepted norm, whether that means being poor, being a socialist or being gay. Interesting parallels between the resurgence of the far right in France and this country. Dieses Buch war das erste rein soziologische Buch das ich gelesen habe. Eine sehr interessante Aufarbeitung der Themen Herkunft, Mileu und Homosexuelle Identität. Ein Buch das zum Nachdenken und reflektieren anregt. Didier Eribon relates his personal experiences of social mobility and of coming out as a homosexual. The value and the interest of this book lie in its being a first-hand account. In that sense I would call it recommended reading. As a general sociological analysis, it suffers from two defects. One, the author confounds all classes that are better off than the working class by lumping them together under the Marxist archaism "bourgeoisie" (conveniently a French term). Thus he derides Raymond Aron Didier Eribon relates his personal experiences of social mobility and of coming out as a homosexual. The value and the interest of this book lie in its being a first-hand account. In that sense I would call it recommended reading. As a general sociological analysis, it suffers from two defects. One, the author confounds all classes that are better off than the working class by lumping them together under the Marxist archaism "bourgeoisie" (conveniently a French term). Thus he derides Raymond Aron for failing to see any sharp class distinctions in his immediate surroundings, and he does so by painting a picture (from Eribon's own childhood) of two separate sets of children playing within their own group in two separate areas of the same country estate. While I am not trying to defend Aron's claims here, Eribon's counterargument betrays even more ignorance of social realities in France. Aron was the son of a lawyer, not the heir to a major landowner. Any sociologist unwilling to see the difference is either stupid (which Eribon clearly is not) or indoctrinated (which might be the case given his frequent name-dropping and adoration of the French left's Moral Deities). Two, it is insufficiently structured. The author has allowed his thoughts to flow more or less freely, perhaps according to some rough initial plan, and then apparently could not be bothered to revise the thing. This is a pity because it might put some readers off what is otherwise an interesting perspective. I mean, seriously, a nonfiction work where the chapters bear numbers but no titles? For readability that's about as bad as the Bourbaki series of mathematics books. His thoughts on the massive swing to the right of the French workers are worth looking into; particularly when trying to understand the ideological base of the new generation of European and U.S. politicians whom we conveniently label populists. Even the French Communist Party in its heyday was never free from an 'us versus them' rhetoric. Parliamentary democracy, by its very nature, needs opposition of political ideas. If the traditional ideologies of liberals, social democrats and intelligent Christians exhibit little fundamental differences nowadays, and moreover all three of them appear in practice to support unchecked globalization of trade and culture, then an anti-global opposition is bound to arise with a vengeance - be it anti-European, anti-migration, protectionist, racist, or just throwing a political tantrum in any other way. For the interested reader there are references at the end of each chapter. For me personally, at least, the name-dropping served a purpose in that it allowed me to discover two novels (see here and here) as well as the author Michel Foucault. Eribon, biograaf van Foucault, heeft veel geschreven over 'la question gay'. In dit boek beschrijft hij de weg die hij heeft afgelegd vanuit een arm, achtergesteld milieu dat zeker ook homo-vijandig was naar zijn huidige plek (professor in Amiens (misschien wel zonder het schrijven van een thèse)). Hij beschrijft vooral en zeer indringend zijn schaamte voor zijn afkomst en vergelijkt die met de schaamte om homo te zijn. Zijn schooltijd verloopt voorspoedig, mede gefinancierd door zijn moeder, maa Eribon, biograaf van Foucault, heeft veel geschreven over 'la question gay'. In dit boek beschrijft hij de weg die hij heeft afgelegd vanuit een arm, achtergesteld milieu dat zeker ook homo-vijandig was naar zijn huidige plek (professor in Amiens (misschien wel zonder het schrijven van een thèse)). Hij beschrijft vooral en zeer indringend zijn schaamte voor zijn afkomst en vergelijkt die met de schaamte om homo te zijn. Zijn schooltijd verloopt voorspoedig, mede gefinancierd door zijn moeder, maar loopt stuk op zijn afkomst omdat hij enkele verkeerde afslagen neemt in het ingewikkelde Franse systeem waardoor niet bij de elite-opleidingen komt die nodig zijn om 'echt' verder te komen. Het boek begint met de terugkeer naar Reims naar zijn moeder die hij opzoekt na de dood van zijn vader. Hij gaat niet naar de begrafenis van zijn vader en neemt geen contact op met zijn broers. Dit tekent de radicale breuk die nodig was om te komen waar hij nu is: in de intellectuele wereld van Parijs (en Berkeley). Op het eind citeert hij een roman Border Country (1960) van Raymond Williams die een analoge situatie beschrijft. De hoofdpersoon zegt aan het eind van de roman dat hij de afstand gemeten heeft en door de afstand te meten de ballingschap opheft. Voor Eribon is het bereiken van het professoraat een belangrijke stap in het opheffen van de ballingschap, niet in het opheffen van de afstand. Een andere rode draad in het boek is de omslag van politieke overtuiging in de Franse arbeidersklasse van de PCF naar FN. Hij wijt dit in grote mate aan een soort verraad van nieuw-links (post '68) die zijn belangstelling voor de concrete situatie van de gedepriveerde klassen had verloren en deze groepen geen stem meer gaven. Als je wil afzetten tegen de heersende orde is een stem voor FN ook een uitdrukking van verzet. Hier zijn zeker analogieën met de Nederlandse situatie. Interesse für Kunst oder Literatur hat stets, ob bewusst oder unbewusst, auch damit zu tun, dass man das Selbst aufwertet, indem man sich von jenen abgrenzt, die keinen Zugang zu solchen Dingen haben; es handelt sich um eine »Distinktion«, einen Unterschied im Sinne einer Kluft, die konstitutiv ist für das Selbst und die Art, wie man sich selbst sieht, und zwar immer im Vergleich zu den anderen – den »bildungsfernen« oder »unteren« Schichten etwa. Wie oft konnte ich in meinem späteren Leben als Interesse für Kunst oder Literatur hat stets, ob bewusst oder unbewusst, auch damit zu tun, dass man das Selbst aufwertet, indem man sich von jenen abgrenzt, die keinen Zugang zu solchen Dingen haben; es handelt sich um eine »Distinktion«, einen Unterschied im Sinne einer Kluft, die konstitutiv ist für das Selbst und die Art, wie man sich selbst sieht, und zwar immer im Vergleich zu den anderen – den »bildungsfernen« oder »unteren« Schichten etwa. Wie oft konnte ich in meinem späteren Leben als »kultivierte Person« die Selbstzufriedenheit besichtigen, die Ausstellungen, Konzerte und Opern vielen ihrer Besuchern bereiten. Dieses Überlegenheitsgefühl, das aus ihrem ewigen diskreten Lächeln ebenso spricht wie aus ihrer Körperhaltung, dem kennerhaften Jargon, dem ostentativen Wohlgefühl … In all diesen Dingen kommt die soziale Freude darüber zum Ausdruck, den kulturellen Konventionen zu entsprechen und zum privilegierten Kreis derer zu gehören, die sich darin gefallen, dass sie mit »Hochkultur« etwas anfangen können. Dieses Gehabe hat mich seit je eingeschüchtert, und doch tat ich alles dafür, so zu werden wie diese Leute, in kulturellen Kontexten dieselbe Lockerheit an den Tag zu legen und den Eindruck zu vermitteln, ich sei ebenfalls so geboren worden. Wenn die überlebende oder wiederhergestellte Bedeutung des »Wir« sich dermaßen gewandelt hat, dass nun nicht länger die »Arbeiter« den »Bourgeois« gegenüberstehen, sondern die »Franzosen« den »Ausländern«? Oder genauer: Wenn der Gegensatz zwischen »uns hier unten« und »denen da oben«, in den sich der zwischen Arbeitern und Bourgeois verwandelt hat (was schon nicht mehr dasselbe ist und jeweils unterschiedliche politische Schlussfolgerungen impliziert), plötzlich eine nationale und ethnische Komponente bekommt, weil »die da oben« als Befürworter einer Immigration wahrgenommen werden, deren Folgen »die da unten« angeblich jeden Tag zu ertragen haben, einer Einwanderung, die plötzlich für alle möglichen Übel verantwortlich gemacht wird? Die entfremdete Weltanschauung (den Ausländern die Schuld geben) verdrängt den politischen Begriff (gegen die Herrschaft ankämpfen). An absolutely wonderful book and a huge reminder as to why I studied sociology in the first place. I loved Eribon's voice and his analytical yet heartfelt dealings with his own past, background and identity. I'm happy I decided to pick this up after reading an interview with him in the newspaper since it was worth every euro I spent. It was both academic and touching and made me think a lot, which is always a good thing. In my view the beginning of the book is extremely strong and finds the perfect balance between Eribon‘s personal experience and ideas on social structures. Unfortunately, I’m my view there is a lower number of interesting thoughts and quite many repetitions in the second part of the book. Still worth four stars. Returning to Reims (original Retour à Reims, 2009), interesting (and hugely succesful) semi-autobiographic slash sociological account of class and identity in our post-ideological/post-class times. But looking a little closer at those who have paid the price for neoliberal globalization as a class (and to reclaim the ideological and political nature that comes with the concept) is an important part of understanding for how the left can develop a progressive counter-hegemonic political project that actually resonates with those whose interests it claims to defend. Without resorting to the nationalist and otherwise degenerated discourse of the populist far-right. While the book doesn't try to give an answer to the question it poses, there's a sense that the shift from 'we' the workers versus the bourgoisie to a 'we' the nation versus the foreigners is an attempt to defend a collective at a time where neoliberalism famously declared that there's no society, no class and no collective interests. Disappointing. I had hoped that Eribon would provide a French gay equivalent to JD Vance's Hillbilly Elegy or a longer version of The End of Eddy. But unfortunately the writing couldn't stay with the individual stories. But instead he uses the stories as a starting point for long, turgid discourse on political theory, discarding the individuals along the way. If you are trying understand our current situation globally and trying place yourself in that context, there are many better books to read Disappointing. I had hoped that Eribon would provide a French gay equivalent to JD Vance's Hillbilly Elegy or a longer version of The End of Eddy. But unfortunately the writing couldn't stay with the individual stories. But instead he uses the stories as a starting point for long, turgid discourse on political theory, discarding the individuals along the way. If you are trying understand our current situation globally and trying place yourself in that context, there are many better books to read. Great (with allowances made for occasionally losing me in French philosophers). Really enjoyed the autobiographical moments - and the final quote from maman is a belter. Must read more from that bibliography - though they all scare the hell out of me. This is a moving and thoughtful exploration of class, politics and sexuality. Eribon explores the often-fraught processes of building a self: the cultures, communities and concerns we embrace and those we leave behind. Central to this is his relationship with his working-class background and his homosexuality. It was leaving Reims for a life in Paris, Eribon suggests, that enabled him to craft an identity as both an intellectual and as a gay man, processes seemingly predicated on a disavowal of This is a moving and thoughtful exploration of class, politics and sexuality. Eribon explores the often-fraught processes of building a self: the cultures, communities and concerns we embrace and those we leave behind. Central to this is his relationship with his working-class background and his homosexuality. It was leaving Reims for a life in Paris, Eribon suggests, that enabled him to craft an identity as both an intellectual and as a gay man, processes seemingly predicated on a disavowal of his blue-collar background. Thus, his "return to Reims" refers both to a physical return to the city and communities of his childhood (following the death of his father), but also to an excavation of his own relationship to his working-class past(s) and his processes of sexual self-definition. 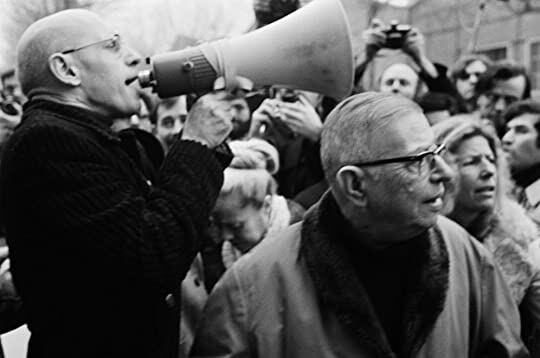 This journey is set against a provocative and thought-provoking exploration of how working-class politics has shifted from support for leftist political causes to right-wing populism. Eribon traces this by exploring how working-class support for the French Communist Party (and the left more broadly) has declined and been supplanted by an identification with the politics of the right and the far-right (epitomised by the National Front). He outlines how members of the dominated classes approach voting as one of the few ways they have available to force cultural and class "elites" to acknowledge the existence of their concerns and collective identity (especially as they touch on economic opportunity, class dignity and rapid social and economic change - above all that associated with accelerated levels of immigration). Wat is een goed boek? Aflevering zoveel. 1. Een boek dat je op weg zet naar andere boeken: hier scoort Eribon het maximum van de punten. Hij verwijst tijdens zijn verhaal over hoe hij afstand nam van het arbeidersmilieu waarin hij opgroeide regelmatig naar Michel Foucault, Annie Ernaux en andere Franse grootheden. 2. Een boek dat je twee keer na elkaar leest omdat je vindt dat je het de eerste keer te snel en niet aandachtig genoeg gelezen hebt. En dat laatste is zeker nodig want tijdens de wat me Wat is een goed boek? Aflevering zoveel. 2. Een boek dat je twee keer na elkaar leest omdat je vindt dat je het de eerste keer te snel en niet aandachtig genoeg gelezen hebt. En dat laatste is zeker nodig want tijdens de wat meer 'theoretische' stukken gebruikt hij regelmatig lange, complexe zinnen en hier en daar wat vakjargon. Maar laat dat vooral de goesting om dit boek te lezen niet bederven. Het is een schitterende tekening van het milieu waarin Eribon opgroeide en een schets van de evolutie die Frankrijk (niet alleen Frankrijk) de laatste decennia doormaakte. Een prachtige schets van hoe hij zich van zijn arbeidersgrond losmaakte en tot een vooraanstaand intellectueel uitgroeide. Hoe hij zijn sexuele geaardheid als homo ontdekte en hoe het aan zijn ontwikkeling bijdroeg. Als je leest welke rol boeken in zijn ontwikkeling speelden dan besef je (eens te meer) dat een bibliotheek meer is dan een vrijblijvende 'derde plek' waar je gewoon kan vertoeven. Een bibliotheek heeft een inhoud die voor iedere gebruiker een andere betekenis kan krijgen. Die niet meetbaar is, maar waarvan je af en toe een echo hoort in een boek als dit. Kein schlechte autobiographische Abhandlung, aber für mich in dem, was ich erwartet hatte, doch eher enttäuschend. Eribon erzählt von seiner Kindheit und Jugend im Arbeitermilieu in der Umgebung von Reims und seiner Emanzipation von seinem Elternhaus und dem dazugehörigen sozialen Milieu durch sein Interesse für Philosophie und sein Studium. Dabei liegt der Fokus zunächst darauf, wie schwierig es für Personen aus einer ungebildeten Schicht ist, Zugang zur intellektuellen Kultur und zur Bildung z Kein schlechte autobiographische Abhandlung, aber für mich in dem, was ich erwartet hatte, doch eher enttäuschend. Eribon erzählt von seiner Kindheit und Jugend im Arbeitermilieu in der Umgebung von Reims und seiner Emanzipation von seinem Elternhaus und dem dazugehörigen sozialen Milieu durch sein Interesse für Philosophie und sein Studium. Dabei liegt der Fokus zunächst darauf, wie schwierig es für Personen aus einer ungebildeten Schicht ist, Zugang zur intellektuellen Kultur und zur Bildung zu bekommen, weil sie die Codes, Strukturen und das Wissen, das andere von Klein auf mitbekommen, nicht kennen, sondern sich mühsam aneignen müssen. Hier gibt es zahlreiche in der Tat interessante Einblicke und auch die an diesem Buch vielgerühmte Analyse für die Gründe, warum die eigentlich linke Arbeiterklasse auf einmal Front National wählt, ist nicht uninteressant. Ab der Hälfte etwa verlegt sich der Fokus des Buchs auf die Homosexualität des Autors und ab hier wird es etwas wohlfeil, die Schwierigkeiten, die er beschreibt als junger Mann zu seiner Homosexualität zu finden und stehen und die Probleme und Hindernisse, die ihm die Gesellschaft stellt, sind nicht neu und auch nicht in einer From dargestellt, dass man neue Einsichten bekommen würde.